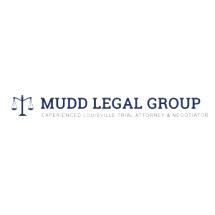 At Mudd Legal Group in Louisville, Kentucky, we devote our practice to protecting the rights and liberties of those charged with any type of criminal offense as well as those who suffered an injury or loss as the result of another party's negligence or wrongdoing. Serving all of Jefferson, Oldham and Bullitt counties and the surrounding areas, attorney Nick Mudd and our law firm deliver the effective advocacy our clients deserve who face legal challenges with regards to criminal defense and personal injury claims. A veteran of dozens of criminal trials and a top-rated former prosecutor, Mr. Mudd possesses the skills necessary to help you fight the charges you face in order to mitigate the potential consequences and help preserve your freedom. Handling all types of criminal cases in both state and federal courts, Mr. Mudd has achieved unprecedented success securing favorable outcomes for those facing white collar criminal charges, DUI and alcohol-related offenses, domestic violence, violent crimes, environmental crimes, and more. We can also represent your interests involving post-judgment relief actions such as expungements and pardons. As part of our personal injury practice, we have secured substantial settlements and awards for those seeking restitution for the damages they incurred as well as their pain and suffering. From motor vehicle accidents and medical malpractice to slip-and-fall accidents and other claims of negligence, we will fight hard to help you obtain the maximum amount of compensation possible so that you can focus on your recovery. From this commitment to our clients' needs, our law firm has earned a reputation as one of the top criminal defense and personal injury practices in the region. To receive the benefits of this level of service and advocacy, you can contact Mudd Legal Group to schedule a free initial consultation.